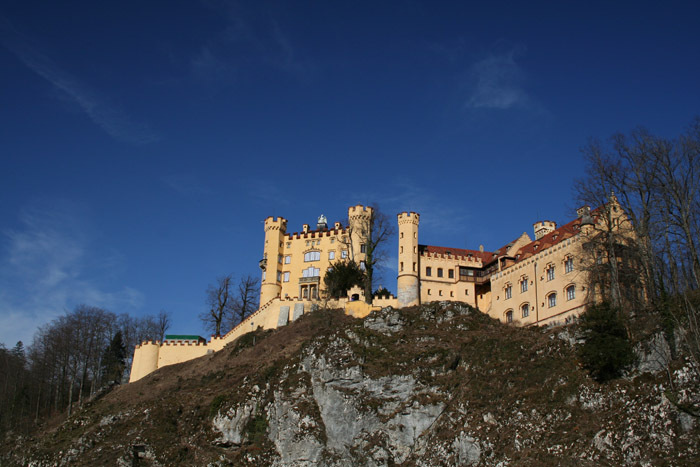 This is castle Hohenschwangau, which lies just next to Neuschwanstein. Actually, it is much older than Neuschwanstein, the tourist-magnet par excellence. Millions of people visit Neuschwanstein every year, mostly Asian folks to be precise. Now, why would I post a pic of Hohenschwangau? -Because it was much nicer at this time of the day - and thus much easier to shoot.